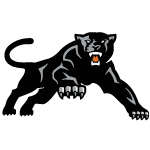 Panther Day began in 1939, when local radio personality "Bummy" Rhody thought the FHS Panthers needed a boost in morale from the community. Panther Day is more commonly called Homecoming today. Since 1939, there is a parade thru downtown Frankfort. Historically businesses closed and people lined the streets to cheer on their beloved Orange and Blue Panthers.